* LPU, Punjab University, GNDU & Punjabi University will now participate at AIU’s national Level Inter-University Football (Men) Championship, to be held in West Bengal. Jalandhar: Lovely Professional University, today, organised an impressive closing ceremony at its Sports Ground for AIU's North- Zone Football Championship. For finalisation, exciting and hair-raising matches were played between Punjab University Chandigarh & Punjabi University Patiala on one hand; and, LPU & GNDU, Amritsar on the other. Punjab University, Chandigarh bagged the Winners’ trophy by scoring top score among the four finalists for AIU’s national level Inter-University Football (Men) Championship, to be held in West Bengal. The other three ‘Teams’ to further proceed for AIU’s national level Championship are Punjabi University Patiala, GNDU Amritsar & LPU, in chronological order of their scoring. On this occasion, LPU Chancellor Mr Ashok Mittal was the Chief Guest. He was accompanied by Pro Chancellor Ms Rashmi Mittal, VC Dr Ramesh Kanwar and Director General Er HR Singla. The last day of the championship also witnessed a showcase match between women-footballers of reputed teams, devoted to former eminent players of the nation. 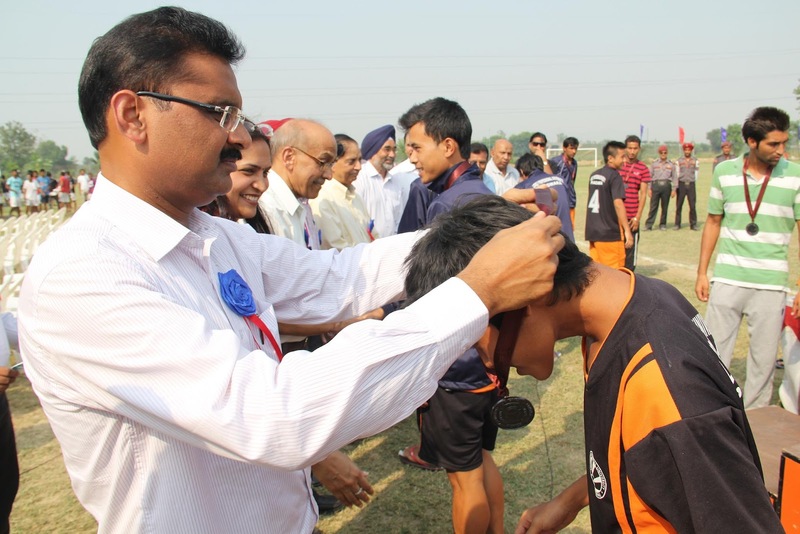 During the Prize Distribution ceremony, before handing over the winning trophy & gold medals to PU Chandigarh; mementoes were presented to the Guests of Honour, Officials, Team Managers and others. Illustrative, many thousand students and large number of football lovers from nearby villages witnessed all the exciting matches played on different eight days of the championship. At techsparks we provide Professional thesis guidance to Mtech and Phd Students seeking help throught the process from scratch to the end. awesome looking for a certain video clip title returns erratic results. Mobdro for pc more channels to watch. View sporting activities as nice. awesome websites as well as applications, there is absolutely nothing inherently What is Musical.ly particular conversation with the primary and also middle schoolers nice. Print off or save every performance review, revenues usps.gov liteblue Process. To start with, you will certainly require. to transform your password for SSP LiteBlue. https://litebluee.co advantages section as well as can additionally alter it during open seasons.